If you Google recent lists of man-made wonders, the obvious suspects are all present; Machu Pichu in Peru, and China’s Great Wall, for example. (see here) What the various lists show is that almost all ‘wonders’ have in common 3 prerequisites: age, beauty and size. This suggests an objective idea of wonder, which removes the emotional and philosophical effect a place can have on us individually. Incidentally, I agree with all the entries on the lists as wonders, at least the ones I’ve seen myself. The few I haven’t yet visited, I’ll reserve judgement until I have. Petra, I’m on my way. 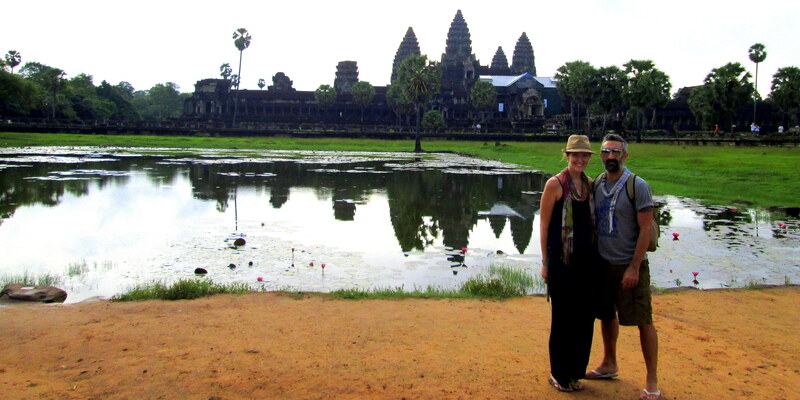 For me, Angkor Wat certainly qualifies, and here’s why. The first time I walked across the bridge that crosses the moat, passing though the outer gate in pre-dawn darkness, my sense of excitement was incredible, like a spoiled child on Christmas morning. After years of eager anticipation, I took my spot among the hordes at the northern reflecting pool, and waited. The atmosphere was electric as hundreds of tourists set up their tripods, so eager were they to snap the ubiquitous sunrise picture that I suspect many forgot to take it all in and absorb the moment. I’ve certainly been guilty of that myself in the past. It’s easily done, for sure. But when the sun rose, sending its pink and orange rays creeping slowly over the temple’s distinct towers and inky silhouette, it literally made me gasp in amazement. The dramatic beauty of the Hindu architecture is sublime, and once engulfed by such enigmatic and mystical natural lighting, I was truly awed. And on my recent visa run with Leslie, I was no less blown away. 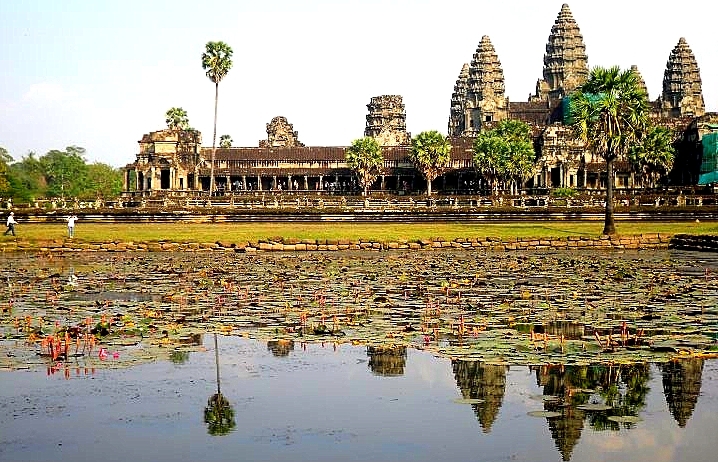 Angkor Wat is the worlds’s largest ever religious structure, and not a single square foot of its endless walls and corridors is left unadorned by fantastic bas-relief carvings of various Hindu mythologies. The 3-tiered pyramid rises 65 meters above the jungle floor, and the five lotus like towers dominate the skyline. Though Hindu in its creation, Angkor Wat has been a Buddhist Temple since the 14th century, and Buddhist sculptures, and even occasional monks, can be seen throughout the complex, their bright orange robes incandescent amid the brooding gray stones. Around every turn within the main Angkor temple complex appear spectacular views, and unique artistry and architecture, and despite the crowds, it’s easy to find a quiet spot to absorb and admire what in this Nomad’s humble opinion truly qualifies it as a man-made ‘wonder’ of the world, and not least because it’s old, big and beautiful. What are your favorite ‘wonders’ of the world, man made or otherwise? I’d love to hear. All images courtesy of the Nomad and the Chic Adventurer. Reblogged this on Travel, Live and Work Abroad. 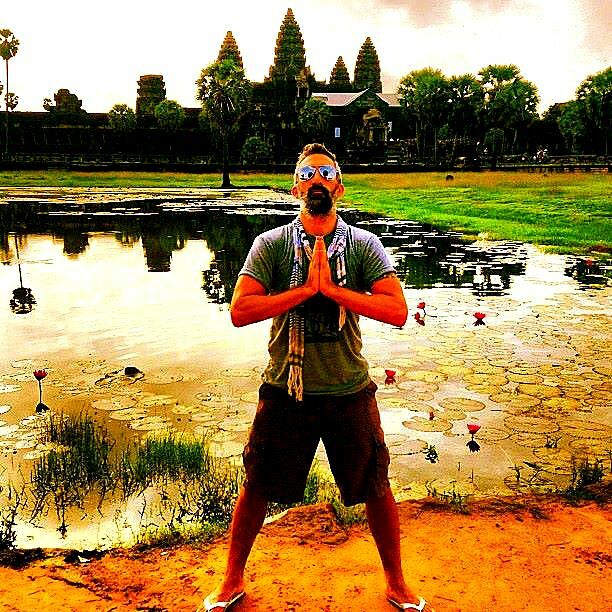 Pingback: Angkor Wat | CAMBODIA | List of Living! 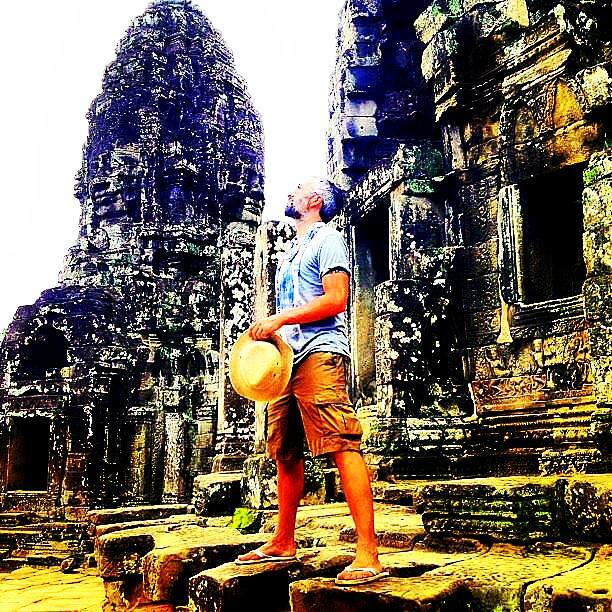 Pingback: Angkor Wat | CAMBODIA | A list of must-go places and must-do activities! Thanks for stopping by the blog. I’ll check out yours, too. If you’d like to use my pictures, please ask first next time, and I’ll surely say yes. Ah my apologies, I’ve just seen how you’ve used the pictures. 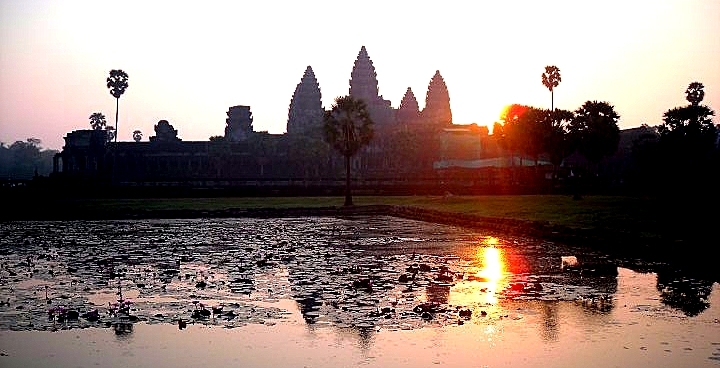 No dramas, and hurry to Angkor, you’ll love it. Pingback: Swim, Snorkel & Sun | MALDIVES | List of Living!